Have you ever heard of an Apee, or AP? Although I respect the organizations, it has nothing to do with the grocery store A&P, or the Associated Press (AP). 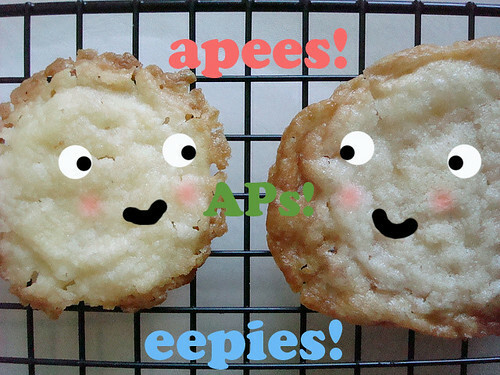 Nope: the Apee is a cookie I recently discovered. Curious, I hit the web, and the books. Here's what I discovered. "A recipe for apees, a rolled cutout cookie made with caraway seeds, sometimes called "seed cakes," first appeared in Eliza Leslie's Seventy-Five Receipts for Pastry, Cakes, and Sweetmeats (1828). 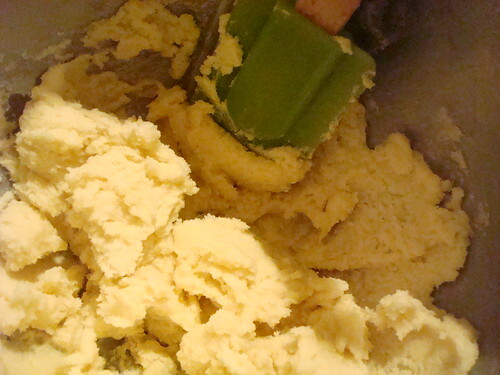 Another version, known as "apeas," was based on German Anis Platchen (anise cookies), and Philadelphia bakers commonly sold them on the streets. Apeas became associated with Ann Page, a popular baker who stamped her initials, A.P., on the cookies. Anise is still a common flavoring used in a variety of cookies, ranging from old recipes for apeas to simple cutout cookies and ethnic specialties like German Springerles..."
Encyclopedia of Food and Drink by John Mariani, describes it like this: "Apee. Also "apea" and, in the plural "eepies." 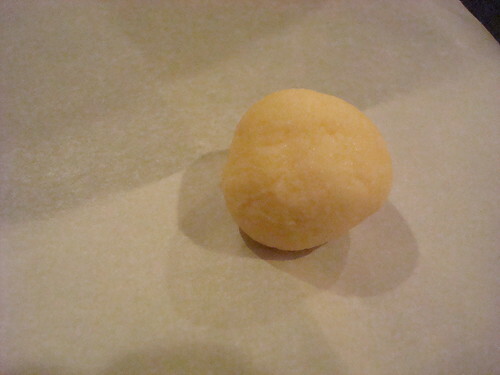 A spiced butter cookie or form of gingerbread. Legend has it that the word derives from the name of Ann Page, a Philadelphia cook who carved her initials into the tops of the confection. This was first noted in print in J.F. Watson's Annals of Philadelphia (1830) to the effect that Ann Page, then still alive, "first made [the cookies] many years ago, under the common name of cakes.'" Oddly though, the recipe I found for Apees does not include caraway seeds or spices. Nor did it call for stamping the letters (although I guess it wouldn't if that was one person's signature move). Nor did it include standardized measurements. Nonetheless, I decided to give it a try. So I evolved the old recipe into this recipe. Here's another that looks like they probably hit the mark more accurately, though! 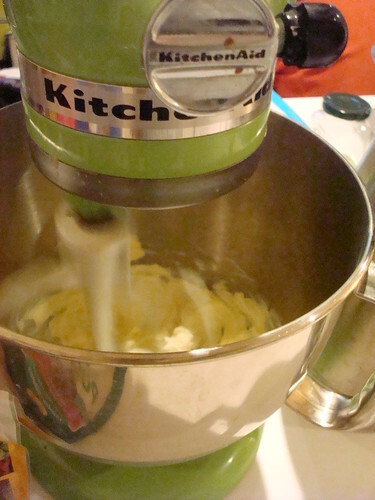 Cream the butter and sugar; sift in the flour and mix, bit by bit, until incorporated. 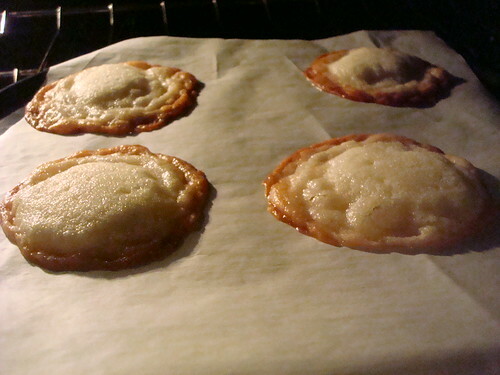 Roll into sheets, and cut into small cakes (I just dropped rounded teaspoons-ful onto a baking sheet). Bake at 350 for about 10 minutes, or until crispy on the sides and bottom. 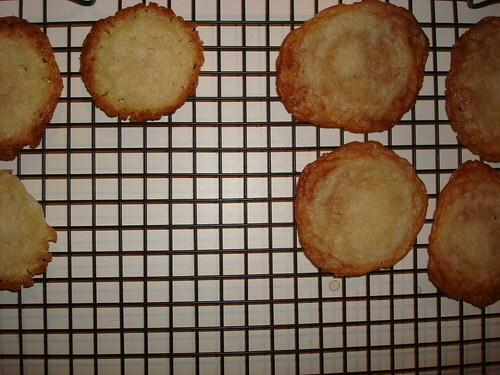 I made the cookies as drop cookies, but perhaps I should have done them as rolled or bar cookies. Who knows, dude. But either way, even though they weren't quite evenly crispy on the sides and middle, they still tasted good. Basic, but plenty buttery, they actually glistened with butter when taken out from the oven, and there may or may not have been the most tantalizing slight butter-sizzle as they were removed from heat. 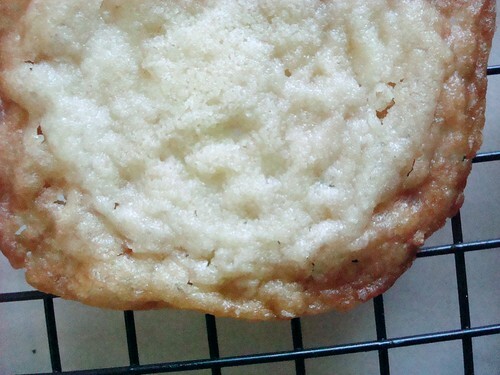 They became crisp as they cooled; when I garnished a nice bowl (not cup; bowl) of ice cream with a couple of these crispy cookies, I had absolutely no complaints. No complaints whatsoever. Either way, I think it's always fun to discover a "lost" recipe!